Nowadays, more and more applications are being installed on mobile phones, and their functions are increasingly powerful. However, some applications also have imperfections. Fortunately, these defects can be compensated by other applications. As we all know, Facebook-owned WhatsApp and Instagram have a story feature that allows users to showcase their daily lifestyle, work or any other activities to everyone. This feature has been a favorite of all users since it was invented. Statistics show that 300 million active Instagram users publish Insta Story on a regular basis every day. With such a large number of regular Insta Story enthusiasts, there’s still one flaw that they complain about, i.e. the automatic cropping of their pictures. A lot of the users complain that this automatic cropping of the images can reduce the image quality and even crop the very important part of their images. Well, this major flaw has been there for quite some time now. Fortunately, smart developers have found some methods and made some great applications to make up for this shortcoming. So, what’s the best no crop app for Instagram or WhatsApp? Please continue reading to check the list given below! As the name suggests, it’s one of the best no crop app specially designed to help users post full sized pictures on Instagram or WhatsApp without cropping. 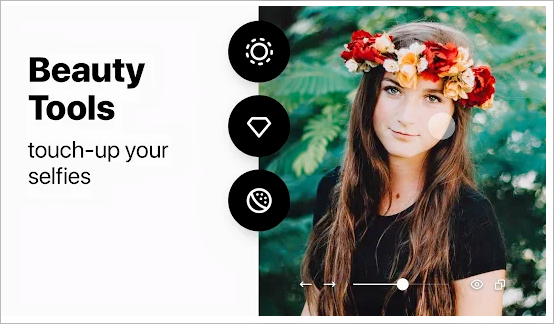 This no crop Instagram app features a user-friendly interface, including a pics editor with different effects to make the photos you post on Instagram even more special. Instantly post full size photos on Instagram without cropping. You can rotate, flip or resize your photos with ease. Awesome photo collage templates for you to choose from. Over 30+ filters to customize your pictures and make it even more beautiful. Choose from over 200 free background patterns. More than 400 free stickers and emoji stickers make your photos more interesting. One of the highest rated no crop photo editor for Instagram, InSquare Pic is powerful, but still very easy to use. With this all-in-one app, you can create stunning high quality pictures and collage photo grids using a variety of frames, stickers, backgrounds and texts. And it’s no crop Instagram feature allows users to resize photos to fit Instagram or WhatsApp easily. With a support of hundreds of emojis, it can make your pictures look cool and funny as well. Post high quality pictures on Instagram with no crop. Unique filters and special effects to turn photos into works of art. Interesting emoji stickers and text to make your photos more stylish. Beautiful hashtag make your photos more popular. Diverse background processing, such as blur, gradient, mosaic, etc. It is also one of the best non-cropping apps for Instagram and WhatsApp. 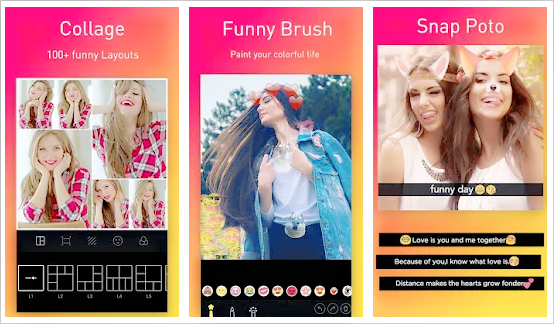 With it, you can create amazing high quality photos and collage photo grids for Instagram and Instagram stories using a variety of filters, stickers, backgrounds and text. This no crop instagram app has got 4.6 ratings at the Play Store and is loved by users. No crop pictures on Instagram, WhatsApp, Facebook, etc. Post square photos to Instagram Story with funny emojis and stickers. You can choose dozens of fonts to express what you want. Use a color brush to draw photos. Adjust brightness, contrast, temperature and saturation. Highlights and shadows, sharpening and blurring. Create beautiful, high-quality photo collages with the Collage maker. This app also primarily focuses on in resizing the image for sharing to WhatsApp or Instagram Story but with a different approach. It features over 300+ collage template to help you frame your image or multiple images at one go. With this photo editing tool, you can also edit them and add stickers to the pictures to make them look cute. With its huge range of templates, backgrounds, stickers, and great filters, this no crop app deserves to be on the best list. It has also been highly rated by users at the Play Store. Post full square size pics without cropping on Instagram. Add fantastic filters and fun stickers to your photos. Collage frame with hundreds of layouts. Supports shadow 3d effects and overlays for photo effects. Quickly share your images via Facebook, Twitter, Instagram. 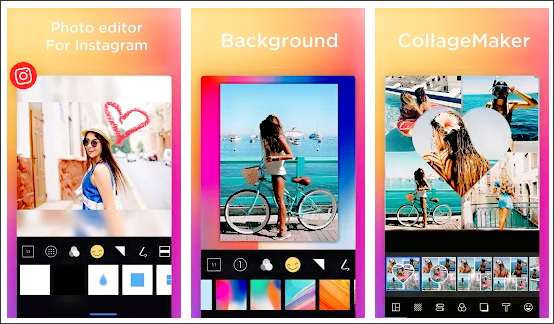 With over 200 million downloads, premium picture filters, and advanced editing tools, InstaSize is one of the best professional picture editor, collage maker, and text editor. It doesn’t matter if you take a horizontal or vertical photo as this program lets you upload any photo to Instagram or other social media sites without having to crop it first. By using this no crop app for WhatsApp or Instagram, you can share your photos exactly the way they really look! Personalize your photos with exclusive filters, effects, layers and text. Advanced picture and collage editing tools with AVA technology. 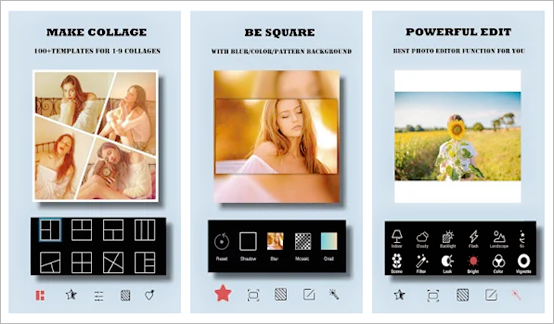 Easily create photo collages and layouts. Crop photos to perfect proportions or use free-form tools. Use the border to resize the image to fit Instagram and WhatsApp. Save pictures and collages in high resolution. Share your photos and collages to Instagram, Facebook, Snapchat and WhatsApp. Fast, ad-free photo editing experience. 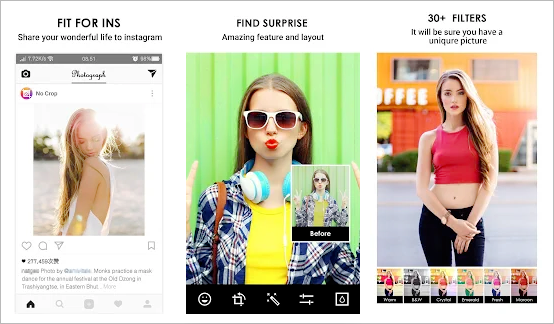 So, here are 5 of the best no crop apps for Instagram and WhatsApp. All of these apps are great and offer a wide range of features, no matter which one you choose, you will like it. We hope that from the next time you start a new image or story, you won’t be bothered by its automatic cropping or any other issues. What do you think about the above five no crop Instagram apps? Leave a message in the comment area to talk about your opinion. Tips: If you are a photo enthusiast, you must have a lot of beautiful photos on your phone. When tidying up these photos, you may have to delete some of the photos to free up space. However, what if you regret after deleting a photo? Do not worry! Here is a powerful Android photo recovery software, that’s Gihosoft Free Android Data Recovery, which can help you quickly retrieve accidentally deleted photos from Android! To forestall is better than to amend, click on the button below to download and install it on your computer now!